2019 Marks Ivy League’s 49th Summer of Big League Fun! 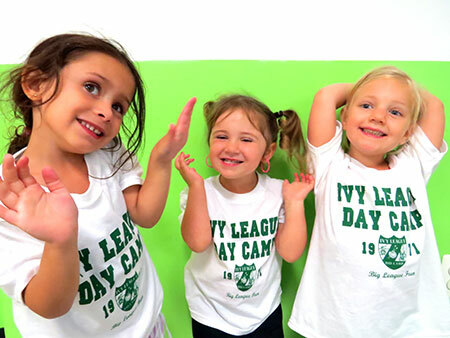 Ivy League Day camp has been family owned and operated by the Leiser family for 36 years! 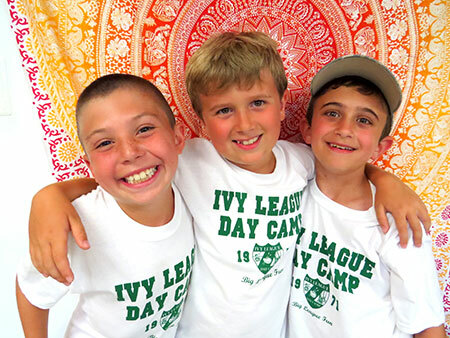 Ivy League is the ONLY day camp in the Manalapan/Marlboro area accredited by the ACA (American Camp Association) and has been for over 30 years. The Owners/Directors are onsite and available for parents year round. Ivy League Pre-School teachers during the school year. Our Division Leaders have a combined total of over 350 year of ILDC experience. Large, indoor air-conditioned activity rooms and Field House. 4 heated pools, Splash Water Park, Plus Large Bumper Boat pool. Hot lunch daily with a variety of healthy choices. ILDC offers programs for 2-15 year olds including Mini Day Full Day, Teen Travel and Teen Leadership. All 2nd – 9th grade campers have individual daily choices of activities at least 2 times a day. All 2nd – 9th grade campers participate in Big League Games which emphasizes sportsmanship, game situations and teamwork. We provide door-to-door & Central air-conditioned bus transportation. All of our bus drivers are employed by camp and not a bus company. To stay fresh and alert all drivers do not have any other daily duties at camp. All buses are staffed with a bus counselor assisting the campers on and off the bus.